The bold geometry, crisp edges and straight lines are the first characteristics one perceives while approaching this house, designed by EKKY Studio Architects’ Elina Kritikou and Kenzo Yamashita in collaboration with Supernova Studio. 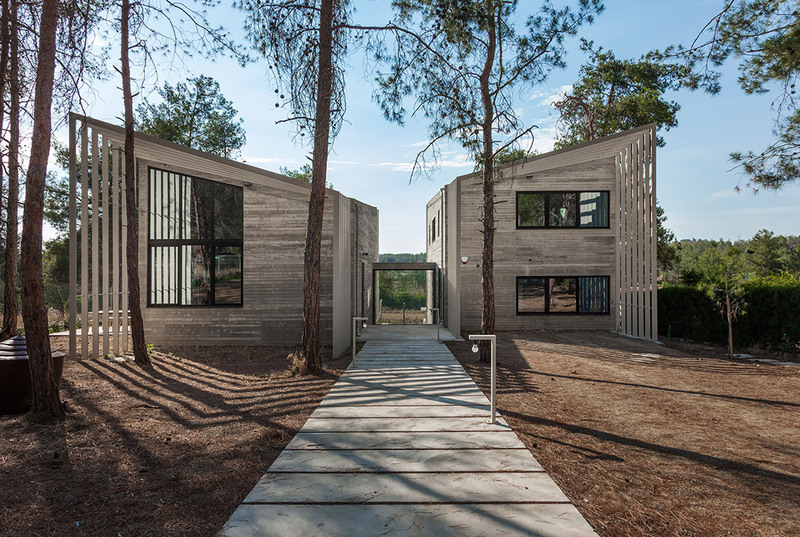 Located in a pine forest, the project’s site was an additional asset to the daring project as the existing levels and tall pine trees were used as design opportunities, rather than design constraints. The morphology of the plot was directly incorporated in the design with allocation of spaces at different levels that differentiate between functions. The building engages with its dynamic shape and blends perfectly with the surrounding scenery. Its geometry resembles simplicity. 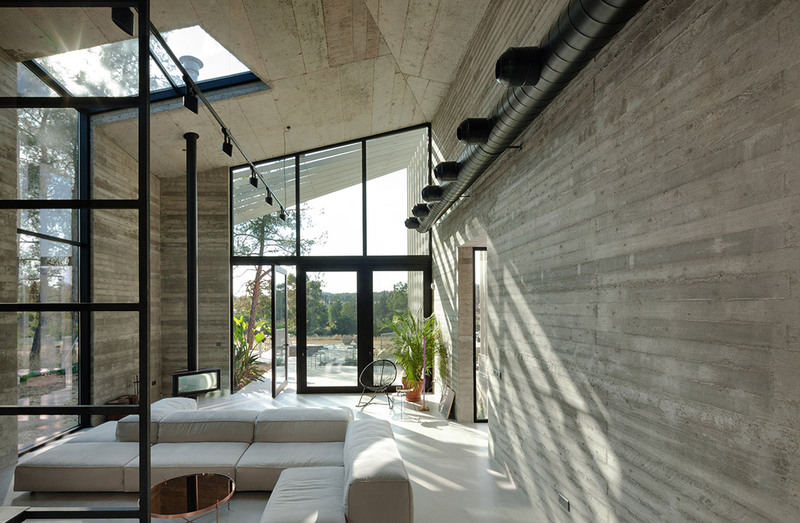 The exterior metal structures exaggerate the perspective and create a playfulness of shadows in the house. 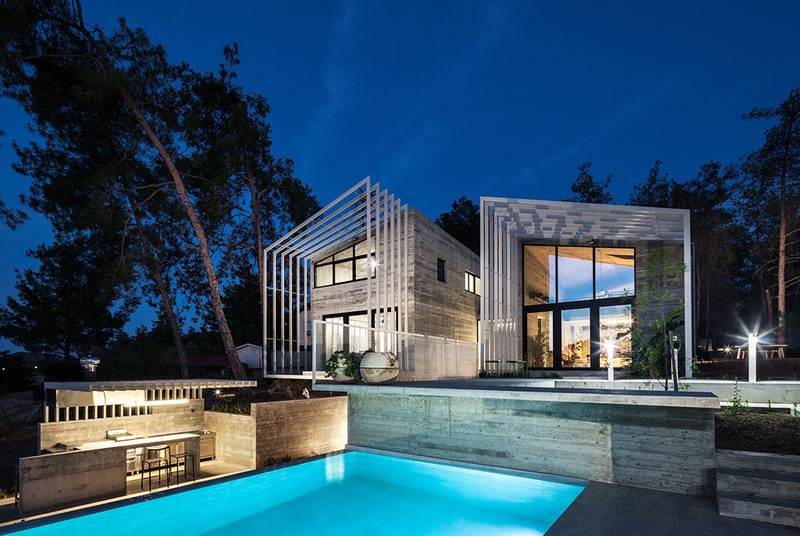 The house is formed by two identical mirrored volumes, with a path that passes between them and connects the entrance with the lowest level of the plot. 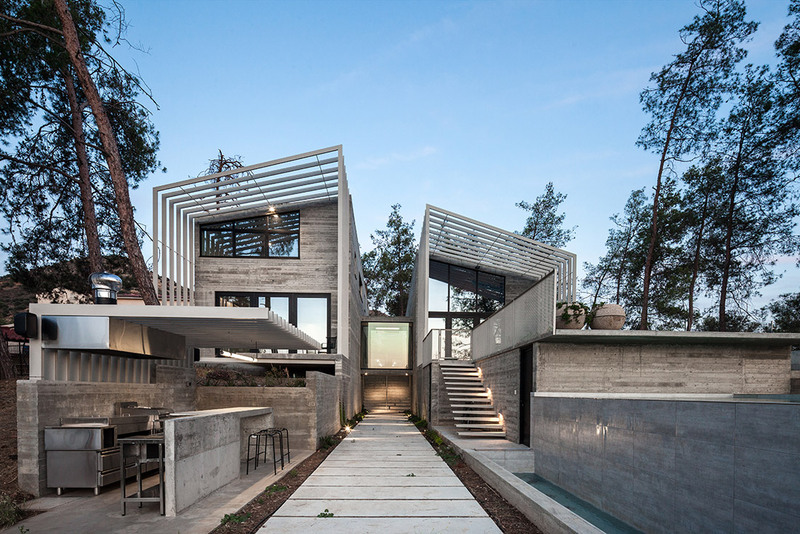 The two volumes are interconnected with an enclosed bridge, which overhangs the path below and separates the private area and the common area of the residence. The beauty of the design lies merely on the dialogue between the two volumes and the illusion created depending on the angle of observation; the height difference of the ground between the front and the back elevations generates a unique composition as the house can be observed from two entirely different perspectives. 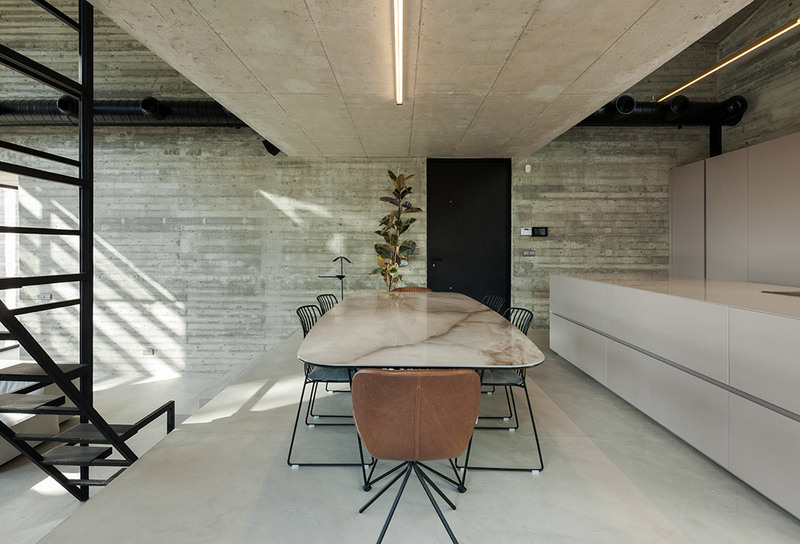 One of the two volumes consists of a kitchen, a dining area, a formal living room and an office on the mezzanine level. 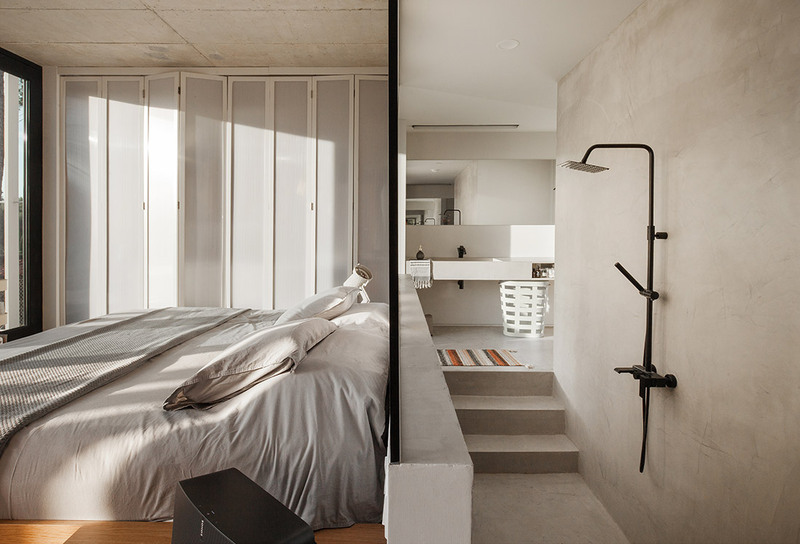 The second volume hosts the master bedroom and an art studio on the ground floor, while the bedrooms are situated on the upper level. The outdoor area is directly connected with the house and includes a swimming pool, a barbecue, toilets and storage areas. 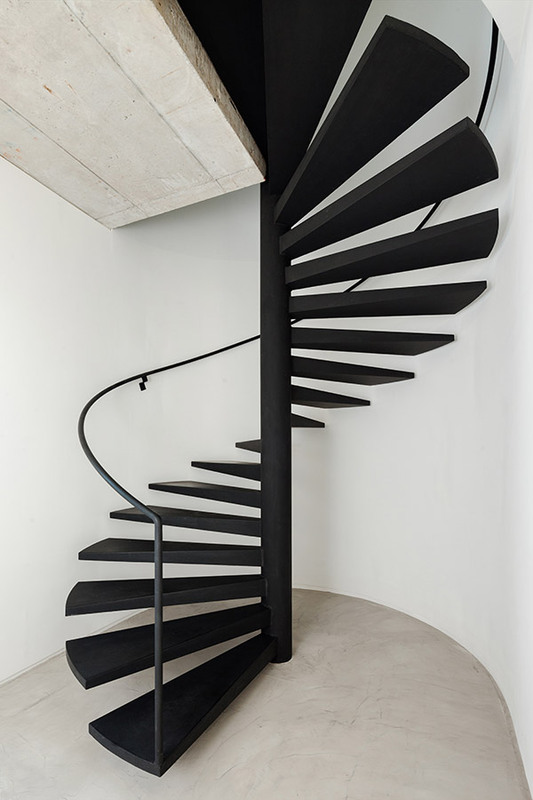 The material palette is limited to mostly fair face planked concrete, glass and steel, to compliment the simplicity of the design. 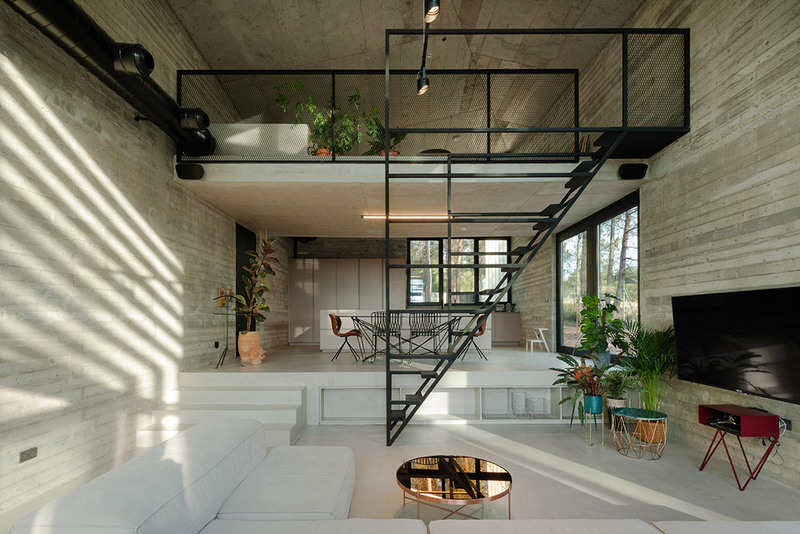 A mixture of industrialism and minimalism creates a distinct appearance, giving a strong identity to the interior. 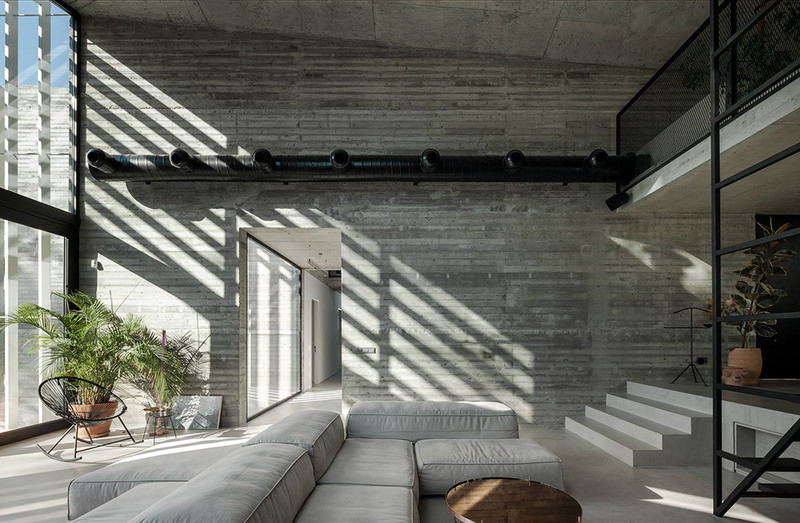 High ceilings, full height windows and skylights give to the house a monumental atmosphere, bringing light into the interior and connect the inside with the outside environment.